Here’s the report on my Short Story February progress. I’m really enjoying reading a lot of short stories. This week I read just 18 stories. 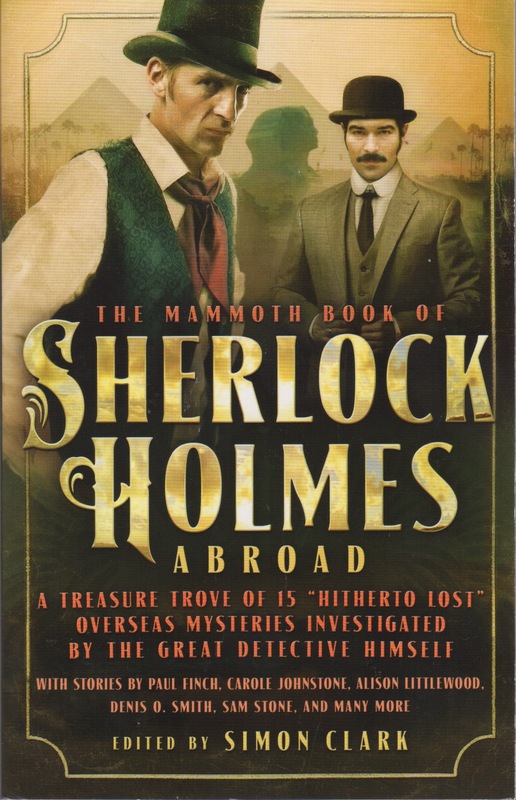 The last seven stories were all from the Holmes anthology. I’m not reading the variety of collections and anthologies I had expected, instead sticking to a few that I’m enjoying. I’ll get to the others in time. My favorites this week were the Anthony Berkeley and Paul Finch stories. I also read From Doon with Death (1964), the first Chief Inspector Reginald Wexford novel by Ruth Rendell, which I enjoyed. Note I read it for a Rendell single-author Friday Forgotten Books post on March 4th. Meanwhile, Barbara read Alex by Pierre Lemaitre, the second in the series and she has the first in the series fresh from the library. 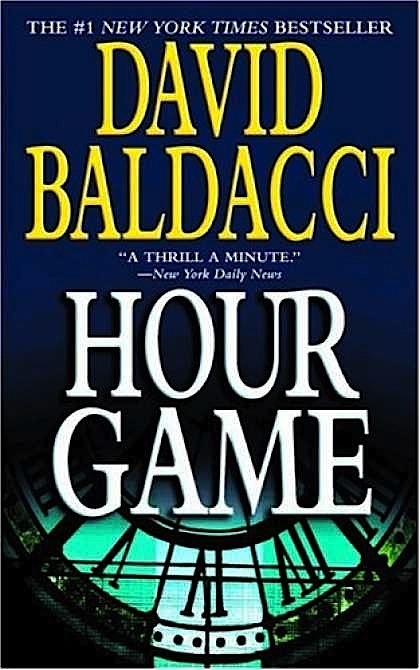 She also listened to two audiobooks, a first for her, Hour Game by David Baldacci and Worth Dying For by Lee Child, a Reacher novel. She liked listening to audiobooks (they were from the library), but because they were in the iPad, she said she felt tethered. That shouldn’t be a problem once we get her phone set up for audiobooks. Have you read any of these stories or authors? What are you reading? Any short stories? Finished O’Hara’s THE DOCTOR’S SON and wrote my FFB post for this week. Probably won’t be joining the Ruth Rendell fest. You’re way ahead of me, Bill, but I have written my Rendell post. Richard, I enjoy reading short stories though I have hardly read any so far this year. I read a couple of stories by Richard Matheson and liked them. J.S. Fletcher, I got try. Prashant, I’m finding short stories very enjoyable and I can switch from book to book to keep interest up. I read a lot of short stories as a kid, but have mostly just read novels as an adult, but I can see that changing. I had PRESIDENTS’ DAY week off so I read a Big Fat Book. Now, I’m on to reading a Ruth Rendell. The Dozois SF anthologies I ordered arrived so I have plenty of short stories to read. Hang in there! I had that week off too George, but I read short stories, though some were in Big Fat Collections and Anthologies. I got a couple of Dozois anthologies too, one as shown last week in a new arrivals post, and another a few days later. Now to get to them. Nice list of stories again. You can’t go far wrong with MURDER IN THE MANOR, I think. When I discovered O’Hara’s stories I found a couple of large collections, then worked my way through as many of the others – probably a couple of hundred – stories I could find. I read a lot of the Rendells, especially the Wexford series, though I stopped somewhere and haven’t yet gone back. My short story reading was down last week, largely, I think, because I was reading a real download that I really didn’t like at all. Why didn’t I stop reading? Inertia, partly, and not wanting to leave it in the middle in case it got better (it didn’t; quite the contrary). Also, I wanted to add it to the “books read” list. I’ll leave it there, especially since I found by happier accident that a Patti Abbott collection I thought I’d already read was, in fact, only partly read, so I’m currently reading (or, sometimes, re-reading, MONKEY JUSTICE. Also read last week: Cody’s Law 8: EAGLE PASS, by one Matthew S. Hart, in this case Bill Crider Cody is a Texas Ranger sent to the titular town undercover as a blacksmith, as there are some dastardly doings going on. The “mastermind” behind the crimes may or may not surprise you (I did guess it) but it is as readable as all of Bill’s books. I have another in the series with me yet to read. Next was a new one, Brendan DuBois’s NIGHT ROAD, out this month. (As mentioned, the author was nice enough to give em an ARC of the book when I told him what a fan of his I was at Bouchercon. This one is right up to date with a possible nuclear weapon of some sort being smuggled across the border from Quebec to New Hampshire, and I’ll give no details other than saying you should definitely read this one. The 400 pages kept turning as I raced to find out what was really in that shipping container and would the hero save the day, and his reputation. I know you stopped reading Nathan Lowell’s Solar Trader books are the first couple, but I’ve kept up with the series (starting with QUARTER SHARE, then HALF, then FULL, then DOUBLE). In the fifth, he somewhat jarringly jumps hero Ishmael Wang to age 38, married seven years, and about to become a captain himself (CAPTAIN’S SHARE) in the space trade. I’m halfway through and enjoying seeing Ishmael whip his first small crew into a team. OWNER’S SHARE is on the shelf next. “Nice list of stories again.” Yes, I’m pretty happy with what I read, Jeff. I remember you reading a ton of O’Hara, I bought a thick collection as a result of your high praise. I haven’t cracked it yet. I’m sure Patti would welcome a review of a Rendell by you for that FFB. I wouldn’t have finished that book. I’d have put it on the books read list as a DNF (did not finish) and moved on. It’s cool that you are finishing up Patti’s collection. That Crider guy sure writes a lot of stuff. Cody’s Law 8: EAGLE PASS sounds great. I’ll have to get Brendan DuBois’s NIGHT ROAD, hopefully the library will have it. I’m glad you’re still enjoying the Nathan Lowell books. Richard, I read only one and a half novels this week: Edmond Hamilton’s SF adventure FUGITIVE FROM THE STARS and part of Craig Johnson’s third Longmire book KINDNESS GOES UNPUNISHED, which I will finish this morning. The Hamilton was a slam-bang space opera — the kind he was so good at. The Longmire is a pivotal book in the series where he travels to Philadelphia when his daughter is critically injured and we meet Michael Moretti. Both books are well worth reading. 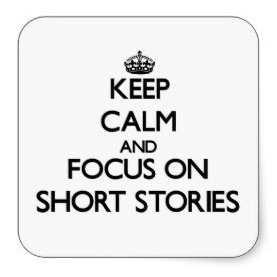 You must be contagious because much of my week was spent reading short stories. I got around to finishing SECOND CENTURY OF THRILLERS, an anonymously edited doorstop anthology from the 1930s (it was also published as THE WORLD’S BEST MYSTERY STORIES), a mix of mystery, detection, and horror from mainly well-known writers. I also read E. J. Carnell’s anthology NO PLACE ON EARTH, an early 1950s sampling of stories from the British NEW WORLDS SF magazine, and two 1960s SF anthologies from Ivan Howard, 6 AND THE SILENT SCREAM and THINGS. Despite the titles, these were pure SF samplings from the Columbia magazines SCIENCE FICTION STORIES, FUTURE SCIENCE FICTION, DYNAMIC SCIENCE FICTION, and SCIENCE FICTION QUARTERLY. The Columbia magazines were a lower tier market and the stories — while good — were minor ones. Separate from that, my story-a-day effort continued, with short stories from Wilkie Collins, Baroness Orczy, Raymond F. Jones, W. W, Astor, L. Sprague de Camp, Donald Malcolm, and Alain Doremieux. I’m still tryimg to decide which, if any, Ruth Rendell I want to read for March 4. I have yet to read the first Longmire, but it’s at the top of the TBR at present. From the short story collection, I knew he had a daughter who lived in Philly. While I read a few stories, you read a few story anthologies! Good grief! Lot’s of SF there, Jerry. Sometimes I find in Best Mystery Story anthologies, many of the stories are pretty “literary”. Thus some strike me as very good, others, not so much because I want more action, or puzzle or something. I’m looking forward to the Rendell reviews, so I hope to read one by you. No pressure, of course. 🙂 I’m hanging in. I’m reading two Simenon’s this week: MAIGRET AND THE TOY VILLAGE and a non-Maigret, THE OUTLAW. The latter is remarkably apt in light of the current refugee crisis in Europe. It was published in 1941 and is about a Lithuanian refugee from an area controlled by both Poles and Germans. He has no papers and must skulk about Paris dodging the authorities and desperately trying to earn enough money to stave off starvation. I’m curious about your short story reading: do you find it difficult to adjust to changes of tone, theme, subject matter as you finish one short story and head into another. Sometimes I have difficulty transitioning from one book to another, I can’t imagine how it would be going rapidly from one short story to another to another. Do you ever get whiplash? Deb, every time someone says they read Simenon, I think I should be doing the same. Soon… I haven’t read any of his non-Maigret books. If I’m reading a collection, there’s no problem going right on to the next story, usually. If I’m reading an anthology, I do sometimes need to stand and stretch or walk about the house or outside and back, just to get a quick break, but usually this isn’t needed, and then when I switch genre as well as author. Last night I read a Holmes story and then switched to one by Roald Dahl, so I took a break between, but not much, just a trip to the kitchen for some water. So no, I guess I don’t get whiplash. That would make a great question for Patti on her blog. “The Monster of Hell’s Gate” is a great title. It was a great story too, Charles, taking place in South Africa where a railroad was being built. The monster was…but that would be telling.